When I write a novel, I plan it all out – that’s how I organise my approach to constructing a Novel. If you are a ‘panster’ – someone who just sits down and finds the story as you splurge, this post might not be so useful again. However, if you are a planner, you will love it – I hope. This series of Writing Workshops will build into a comprehensive guide to the mechanics of writing novels. I am using this post as a general introduction to novel writing. I intend to expand on the process in subsequent posts, to build into a comprehensive series on novel writing. If you scribble basic outlines of each scene/story idea onto scraps of paper or sticky notes, you can literally lay them out before you until they start to make some sort of sense. You will likely have bits missing or maybe not even have an overall story – that’s fine, any order is better than none. Who are they? What are they like? What life events have shaped them the way they are? What do they want? Why? What is their past, what are the relationships between them, what strengths and flaws do they have, how will they have changed by the end of the story? Your Protagonist’s (hero) and your Antagonist (villain) should want the same thing or same goal – that way they are in direct competition. What they want and how they go about getting it, this is the aim of your story. Try to make the character flaws of your Protagonist the character strengths of your Antagonist, and the character strengths of your Protagonist the character weaknesses of your Antagonist – again putting them in direct conflict. The flaws in your Protagonist’s character are the things that let them down and get them into trouble. Overcoming one or more character flaws is what leads to ultimate victory or them gaining the thing they want. So make sure you introduce flaws that will lead them into trouble and will need to be overcome? The strengths in your Antagonist’s character are what gives them victories over your Protagonist. However, failing to overcome one or more of their character flaws is what leads to they ultimate failure or to losing the thing they are after. Make sure your antagonists are not flat – give them some strengths and also flaws they too can overcome? What, in very simple terms is your story, (sum it up in one short sentence) – a much harder exercise than it seems. How will the main character(s) have evolved from the beginning to the end of the story (One sentence for each character). Introduce some subplots which might compliment/juxtapose/parody the main story, or which show character growth (one sentence for each). If you don’t already know about Story Arcs, do some research, start to fit your stuff from steps (1) & (2) into your main Story Arc. (I will do a full article on story arcs soon). 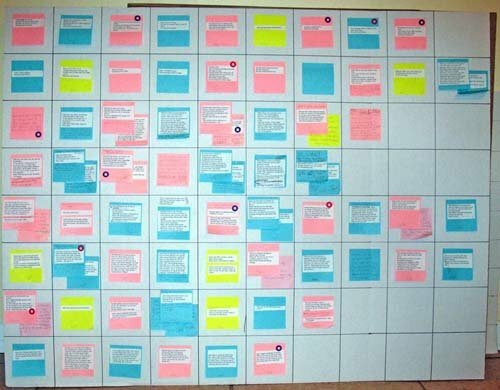 Put everything together for your main story into one straight line in chronological order – lay them out on the floor if you have to, or stick post-it notes to a wall/window/notice board/desk – whatever works for you. In separate lines lay out the scenes/story ideas for each sub-plot and each character development/story, and decide where they start and finish in relation to the main story. Now remove every scene and story idea that does not progress the main story. Use deleted scenes and story ideas for sub plots and character stories. Again, fit them into Story Arcs. If they still don’t fit, save them for the sequels. Fill in all the gaps with new story ideas and scenes. Merge all the story lines together. It may have taken you hours, days, weeks, or even months, to complete this exercise, but you now have an outline plan for your entire novel. Because of my specific needs, I tend to write one chapter at a time, editing the chapter a couple of times until I am happy with it. The skill and craft of writing is really in the editing process – what you do and how you do it will be specific to you. Any additions, alterations or amendments to the plot/story, that occur during the editing process, are recorded on the outline plan and immediately corrected or added to previous chapters (otherwise I will forget about them). First draft: write or dictate a the basic scene/chapter/story. I often use a voice to text software while doing domestic chores or dictate into my mobile while out walking and transpose it to text later). Scene Brief Edit: Add in as much description and sensory experience as I can (using all five senses), filling in any plot/story gaps. Grammar Edit: concentrate on sentence, paragraph, and dialogue construction. Sort out grammar and syntax issues. Sound Edit: this where everyone tells you to read your writing out loud. 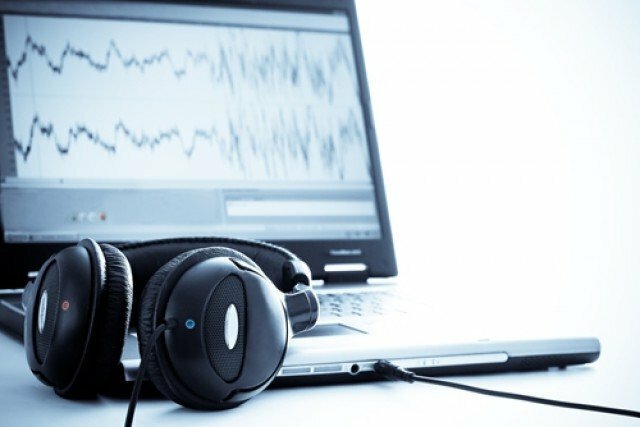 I find that difficult to do, so I get the computer to read it to me using text-to-speech software. This is where I pick up sound issues and readability issues. Full read through of the novel with final consistency edits. Pass out to beta readers for comments and feedback. Make any edits you agree with. Professional Edit: I pass the manuscript to a US editor I employ. This is party to proofread, partly for a high level copy edit, but mainly to correct British English to US English (the majority of my readers/customers are in the US so I publish my novel in US English). Publish. Repeat the whole sequence.